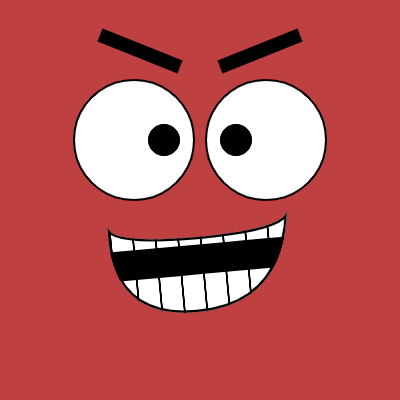 I've had my red blob logo since 1987. 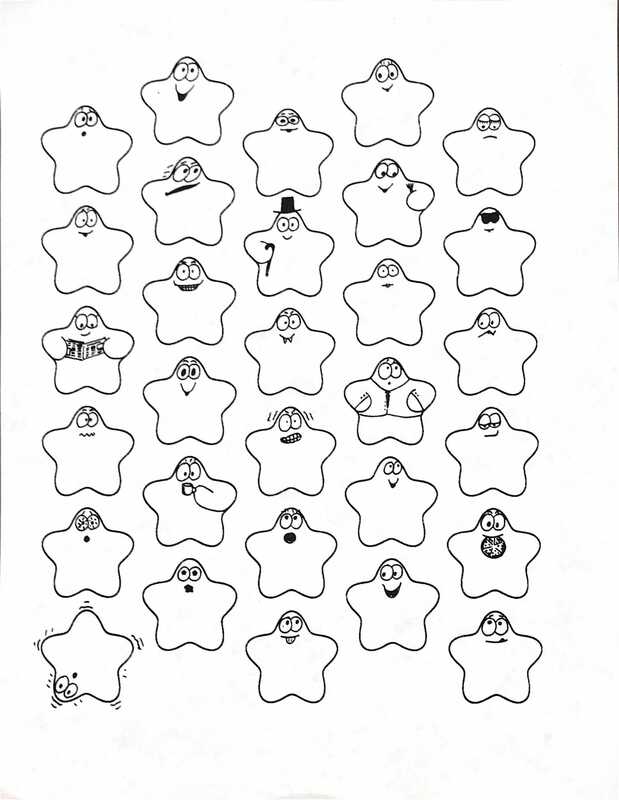 I doodle various facial expressions on the blobs, and also experiment with mathematical representations. In 2011 while reading Scott McCloud’s Making Comics I saw the part about interpolating between facial expressions on page 85. I hadn't considered that facial expressions could be interpolated. I played with splines to generate mouth expressions in a simple comic style. Recently I wanted to update this project with better code and a better UI. While I was updating it, I also realized the brow-lift parameter was backwards (increasing lift would lower the brows). 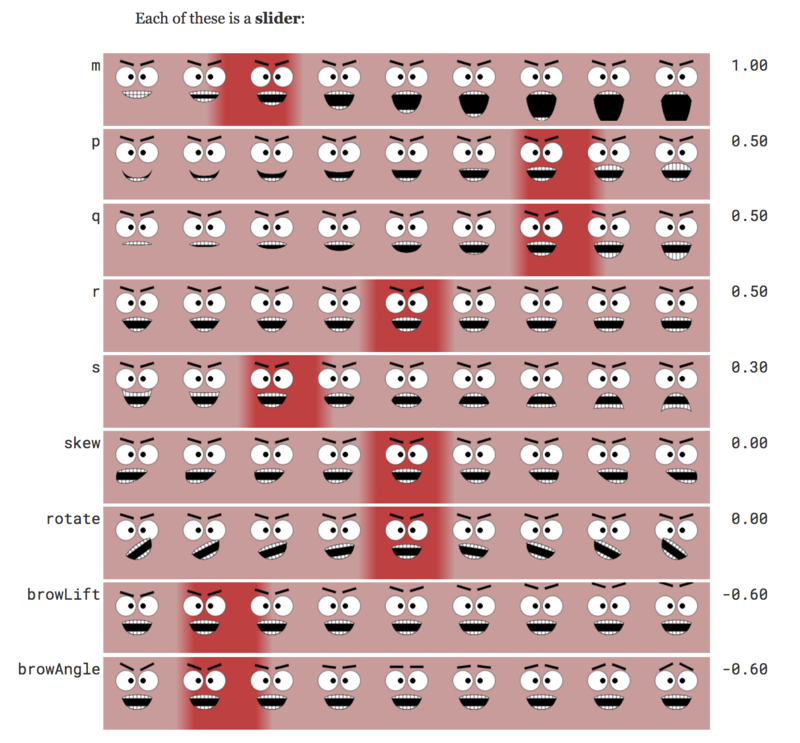 The smile parameter (s) was also backwards (increasing s would make it frown). I would like to use these faces in my tutorials but haven't yet decided where. @NYCynik: yes, I think that'd be a good idea! I also want to add eye size, eyeball position, and eye open/close.